I have no idea what happens next on Downton Abbey. But I can smell the tea brewing from another continent. Edith, Edith, Edith…what were thinking signing that paper without reading it? And come to think of it, have we ever seen Michael Gregson’s crazy wife? Don’t get me wrong. Up till this past Sunday’s episode, I’ve liked the guy. He seems to genuinely love Edith, and I cheered when he got back all the IOUs from that creepy card shark at the house party. But… signing that paper gave me a strange tingle up my spine. However, it wasn’t until Aunt Rosamund chastised Edith that the bells in my head went off. I mean, sure, Edith’s an adult, Michael’s an adult, but he’s still married and asking Edith to spend the night wasn’t particularly noble of him. 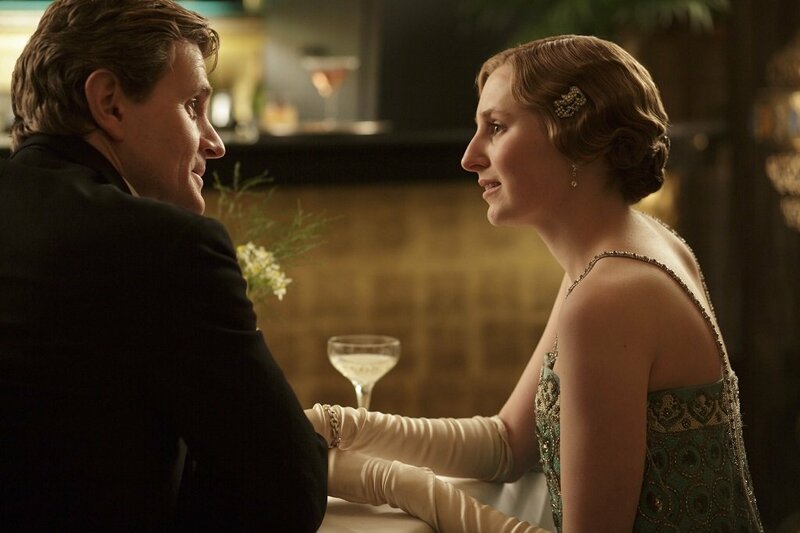 In Downton Abbey terms WWMD (What would Matthew do)? Oh dear. Matthew would never have slept with anyone while married to someone else. No matter what the circumstances. Add that to Aunt Rosamund’s “You might not be sorry now, but there may come a day when you are very sorry indeed!” (paraphrased) and I think there is nothing but heartache in Edith’s future. I really hope Michael isn’t skipping off to Germany, leaving Edith with a pile of bad debts and a bun in the oven. I just don’t think Edith will survive the heartache. Here’s hoping I’m wrong! !